Both the Department of Energy (DoE) and the Nuclear Regulatory Commission (NRC) maintain their own security clearance procedures, as enacted into law by the Atomic Energy Act of 1954. This security clearance process for DoE employees is similar to the security clearance process for other federal employees and government contractors and is administered by the DoE Office of Hearings and Appeals. This article discusses the issues in responding to DoE security clearance issues and clearance appeals. As we have indicated in other articles, the U.S. Government security clearance process is not centralized by any one federal agency. In addition to security clearances processed by the Department of Defense (DoD), which reviews most of the security clearances issued, many federal agencies have their own specialized procedures for processing security clearance cases. The DoE and NRC have their own security clearance process. This article addresses the security clearance process at the DoE and NRC for federal employees and government contractors. Most federal agencies use similar language when discussing clearance levels. The most common terminology used to describe clearance levels are Confidential, Secret and Top Secret and Top Secret/Sensitive Compartmented Information. At the DoE they have used different names to define each clearance level. At the DoE, there are essentially two types of security clearances, the L and the Q clearances. The L clearance is similar to a Confidential and Secret clearance and the E clearance is equivalent to a Top Secret (TS) security clearance. The security clearance process and appeals at DoE and NRC are controlled by 10 C.F.R. Part 710. DoE follows Executive Order 12968, and Security Executive Agent Directive 4, but their review is conducted under the procedures in Title 10 of the Code of Federal Regulations. The criteria for determining eligibility for security clearances at DoE dictates that the agency must undertake a careful review of all of the relevant facts and circumstances, and make a common-sense judgment after consideration of all relevant information. The following are the normal procedures in the security clearance review process for DoE federal employees when security concerns arise and appeals options. The first step in the security clearance review process is for security concerns to be identified in connection with an individual holding a DoE clearance. This may be the result of self-reporting an issue or issues that DoE becomes aware of. The local director of security will review the security issues at issue and either they will be resolved positively or be moved forward as a potential security clearance action which could lead to access suspension. It may take some time to review the security issues before a decision is made on moving to suspend access. During the second step in the security clearance adjudication process, an individual is notified of next steps regarding potential security concerns and their security clearance. The notice provided to an employee or contractor will state that reliable information in the possession of the DoE has created a substantial doubt concerning the individual’s eligibility for access authorization. The individual can then ask that the matter be resolved by the Manager (Manager of a DOE Operations Office, etc) based on existing information or by seeking a personal appearance (hearing) before an administrative judge. A request for hearing must be timely or it can be waived. It is very important to request a hearing at this stage with the DoE. 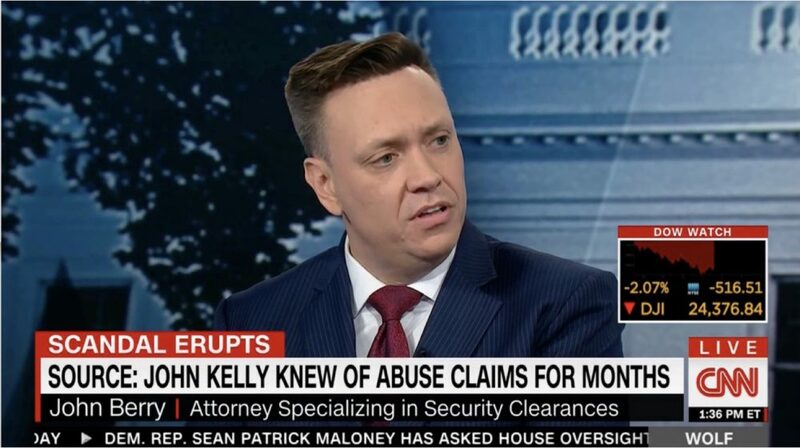 Not doing so can result in the loss of a security clearance. If a hearing is requested, the next step in a DoE security clearance case is for the individual to present their case before a Hearing Officer of the DoE’s Office of Hearings and Appeals (OHA). These Hearing Officers are also DoE federal employees who are licensed attorneys. Prior to the hearing, DoE Counsel and the individual at issue (or the person’s private attorney) will exchange witness lists and proposed documents for introduction as exhibits. The Hearing Officer will evaluate them and make rulings, as needed about their use in the hearing. During the actual hearing, which is often conducted by videoconference, the individual has the right to be represented by a private attorney and to present documents, witnesses and other evidence in support of arguing that they should maintain their security clearance. It is important to prepare throughly for this administrative hearing as it is not all that different than a court proceeding, but slightly less formal. There will be opening and closing statements by the DoE Counsel and the clearance holder or their attorney. All witnesses will be sworn in and provided a warning against perjury by the Hearing Officer. DoE counsel and the individual’s attorney will be able to ask witnesses questions and to present testimony and argument in support or in an attempt to deny the security clearance. The Hearing Officer may ask questions as well. An unrepresented individual can have difficulty in presenting evidence and testimony in these types of hearings. The hearing will be transcribed and Hearing Officer will eventually issue a decision. Once the case is heard, the Hearing Officer will often issue a ruling in 30 days after receiving the transcript. Appeals of this decision can be made under 10 CFR 710.28 and 10 CFR 720.29. If the Hearing Officer or Manager’s decision is not in the individual’s favor, the individual can then appeal the decision to the DoE Office of Hearings and Appeals, Appeal Panel. The DoE attorney can also appeal an adverse decision. The Appeal Panel consists of 3 members and reviews all appeals. The Appeal Panel will make a decision on the appeal and the individual will be notified of the findings. If a final negative decision has been issued, the individual may subsequently apply for reconsideration at a later date. If reconsideration is sought after a 1-year period, then it will be critical to show what issues have changed since the initial decision. There will need to be efforts shown that mitigate the previous ruling and, if successful, the individual can obtain their clearance back. During the reconsideration process, it is very important for an individual to have counsel represent them as well. When an individual is facing security clearance issues at DoE, NRC or before another agency it is important to obtain legal advice and potential representation. Our law firm advises individuals in the security clearance process. We can be contacted at www.berrylegal.com or by telephone at (703) 668-0070. Our Facebook and Twitter pages can be found by clicking on the links above. This entry was posted in Department of Energy, Uncategorized and tagged Department of Energy security clearance appeals, DOE, DoE Counsel, DOE Security Clearance appeals, Hearing, Hearing Examiner, Security clearance, Security clearance appeal, security clearance attorney, security clearance attorneys, security clearance lawyer, security clearance lawyers by berrylegal. Bookmark the permalink.